UK trailer for the upcoming WWII thriller. The current spate of World War II movies continues with The Exception, based on Alan Judd’s international bestseller, The Kaiser’s Last Kiss. 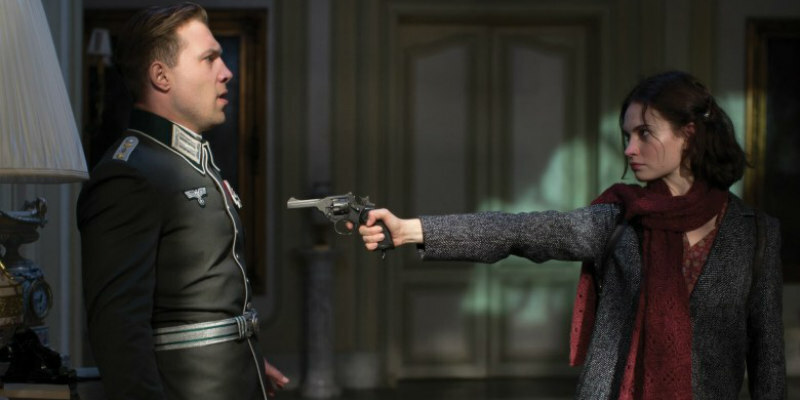 Directed by David Leveaux, the film stars Jai Courtney as a Nazi officer who becomes embroiled in a romance with a maid (Lily James) in the employ of the exiled Kaiser Wilhelm II (Christopher Plummer). The Exception is in UK cinemas and on VOD September 29th, with a DVD release on October 2nd. Nazi captain Stefan Brandt (Jai Courtney; Suicide Squad, Terminator: Genisys) is sent on a mission to investigate a threat to the exiled Kaiser Wilhelm II (Christopher Plummer; The Girl With The Dragon Tattoo, The Last Station). Arriving at the Kaiser’s secluded mansion, Brandt learns that local resistance and British Intelligence are moving in on the deposed German monarch. As he begins to infiltrate the Kaiser's life in search of clues, Brandt finds himself drawn into an unexpected and passionate romance with Mieke (Lily James; Cinderella, Baby Driver), one of the Kaiser's maids.